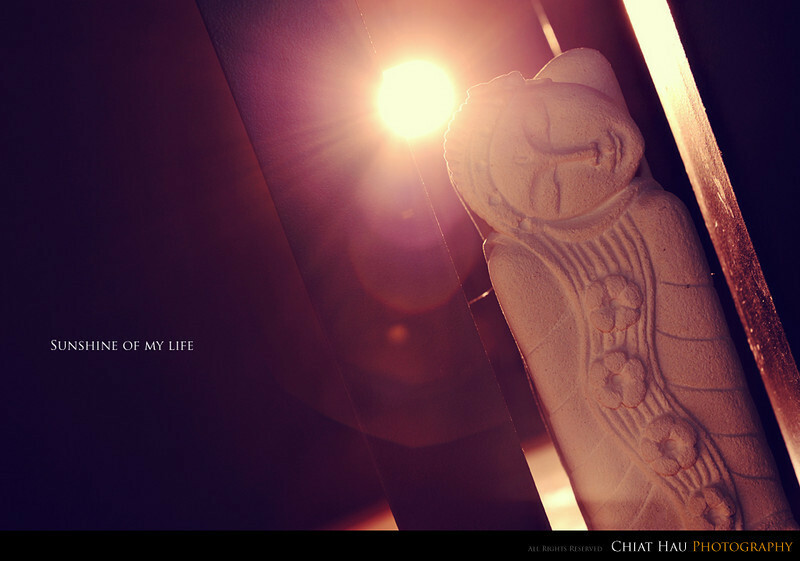 Chiat Hau Photography - Penang Portraiture, Event, Wedding Photographer: Flare, Anyone? Yes, I want some flare. I has been pushing myself trying to get different feel of setup for today... so, I changed my shooting location to kitchen. setup the light and then start to shoot. Initially, most of the shot and setup didn't come close to what I want (in my mind... Darn). Moving the prop from here and there, the light stand here and there... finding the right composition... until I get this one. (Phew... at least I love it and is very close to the imaginary composition in my mind). This round, I used the orange gel (It is not those Nikon CTO, I would like to go for a red gel initially, but the end result is not that good, so I has scrap the idea of using the red gel and used a orange one in stead) which I have DIY with some stocks that I bought from Popular. :"P (Anyway as long as the effects is good who cares right. :")). So photos for today is "Sunshine of my life" and is an inspiration from the song of Stevie Wonder "You're the sunshine of my life". Dedicating this photo to... my brother (who has been a father for 3 kiddos and my sister who is going to be a mom real soon), and of course to all those who already have children. :) and finally, to those married/couples friends. My best wishes to all of you and hope that you all will cherish those that is beside you. i like the flare too. so creative la u .. I dun like flare..:( Although you pic is not bad.